Rekha at the screening of 102 Not Out. The first formal screening of 102 Not Out, starring Amitabh Bachchan and Rishi Kapoor, was a one way ticket to the good old Bollywood days. 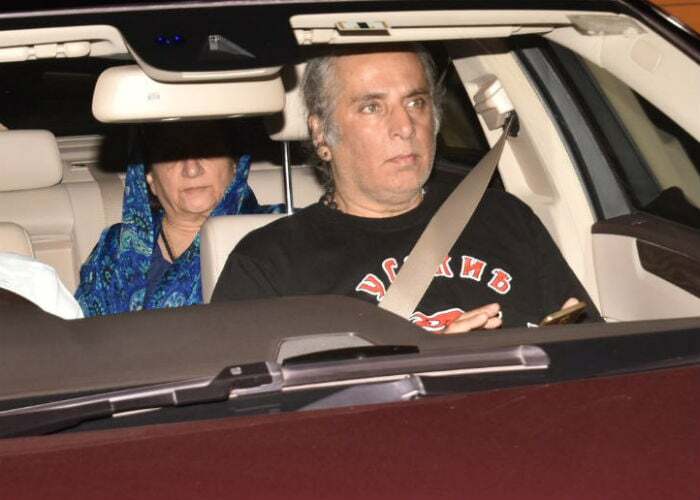 Veteran actors such as Rekha and Prem Chopra attended the screening with members of the Kapoor family - Rishi Kapoor's wife Neetu Singh, mother Krishna Raj Kapoor and aunt Neila Devi (wife of late actor Shammi Kapoor). Rekha, who co-starred with Amitabh Bachchan in Silsila, Kasme Vaade and Do Anjaane among other films, draped a white saree and accessorised her look with long earrings and a mogra gajra. She smiled for the waiting paparazzi. Rekha, as always, looked gorgeous. 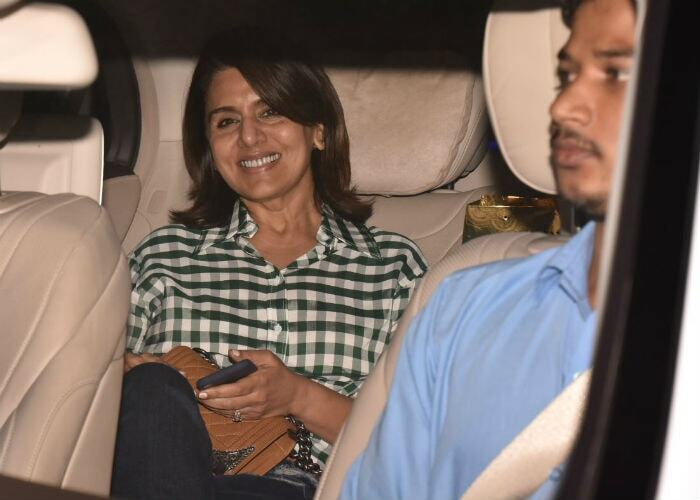 Neetu Kapoor looked happy as she arrived for the screening of 102 Not Out, in which her husband plays the role of Amitabh Bachchan's 65-year-old son. Rishi Kapoor's character is portrayed as stern and the one who knows how to "act his age." In contrast, his 102-year-old father is full of life and wants to make the record of the oldest living person. He plays football and threatens to send his son to an old age home. 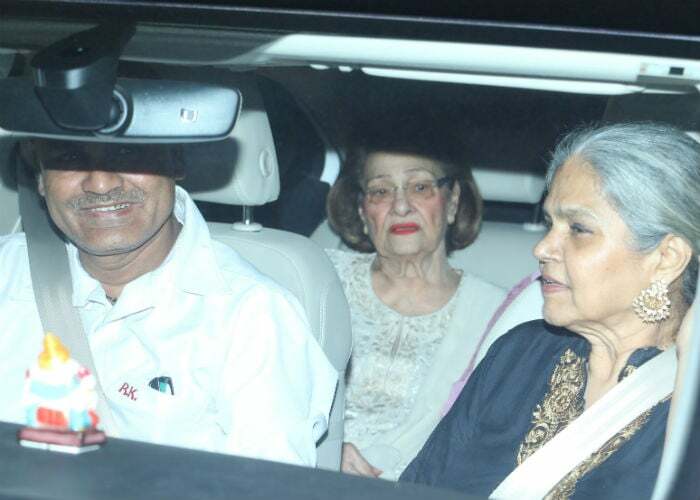 Krishna Raj Kapoor and Neila Devi were the other Kapoors spotted at the screening. 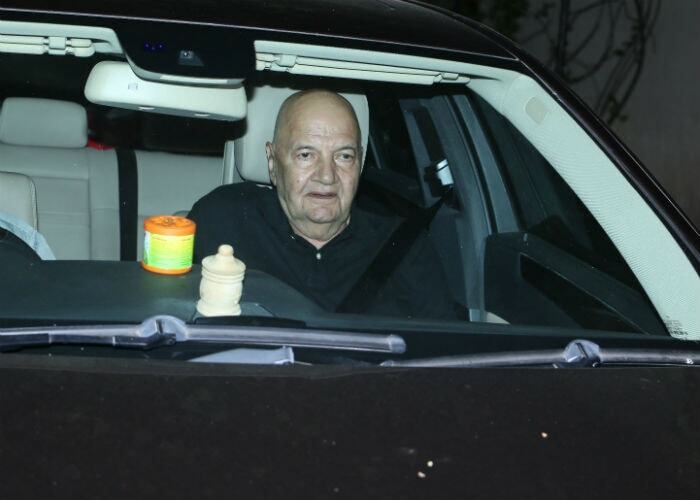 In addition Amitabh Bachchan and Rishi Kapoor old colleague Prem Chopra also got an invite. 102 Not Out is directed by Umesh Shukla (All Is Well and OMG! Oh My God). The film is based on a Gujarati play written by Saumya Joshi and it will release on May 4.